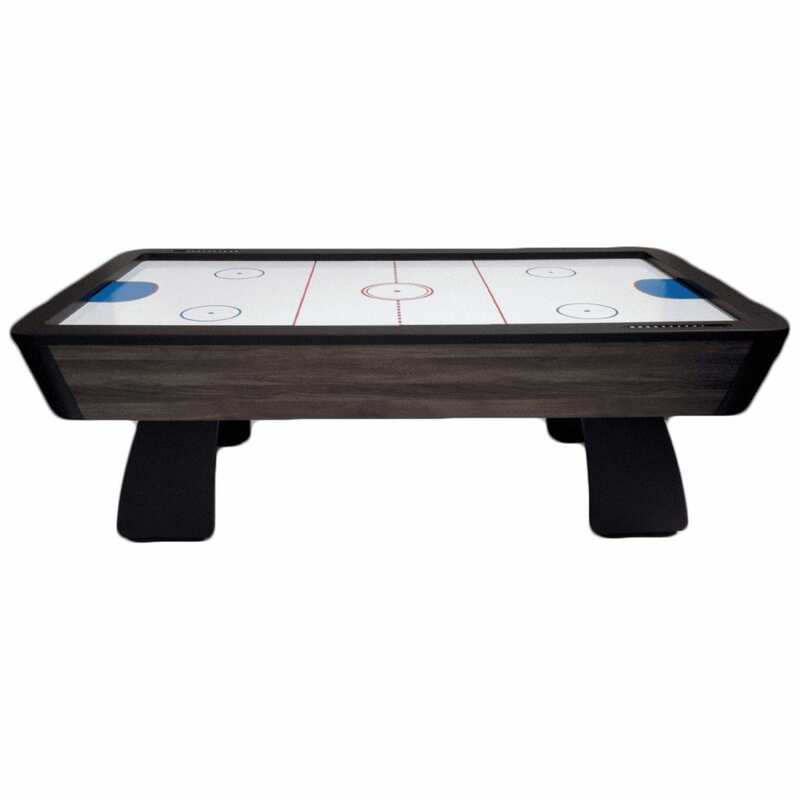 The 7′ Marksman Greystone Air Hockey Table combines a stylish and modern and timeless finish with a durable and robust structure. 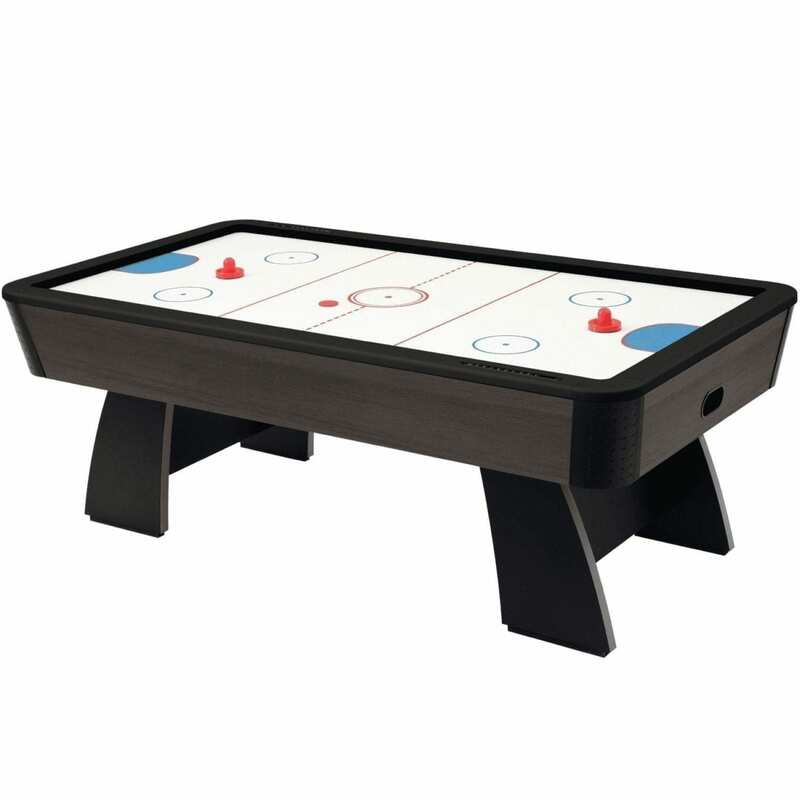 Bring the excitement of the arcade home with this action-packed air hockey table! 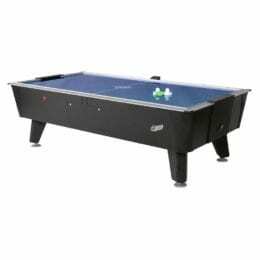 The powerful 120v 60hz 1.2a blower ensures a fast and exciting game while keeping quiet enough for a residential environment. 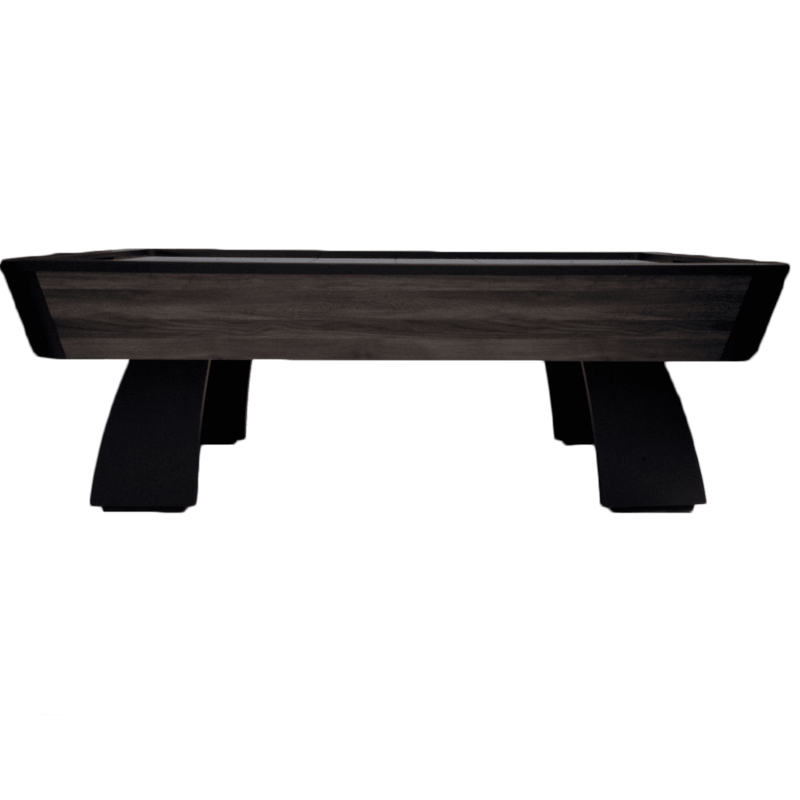 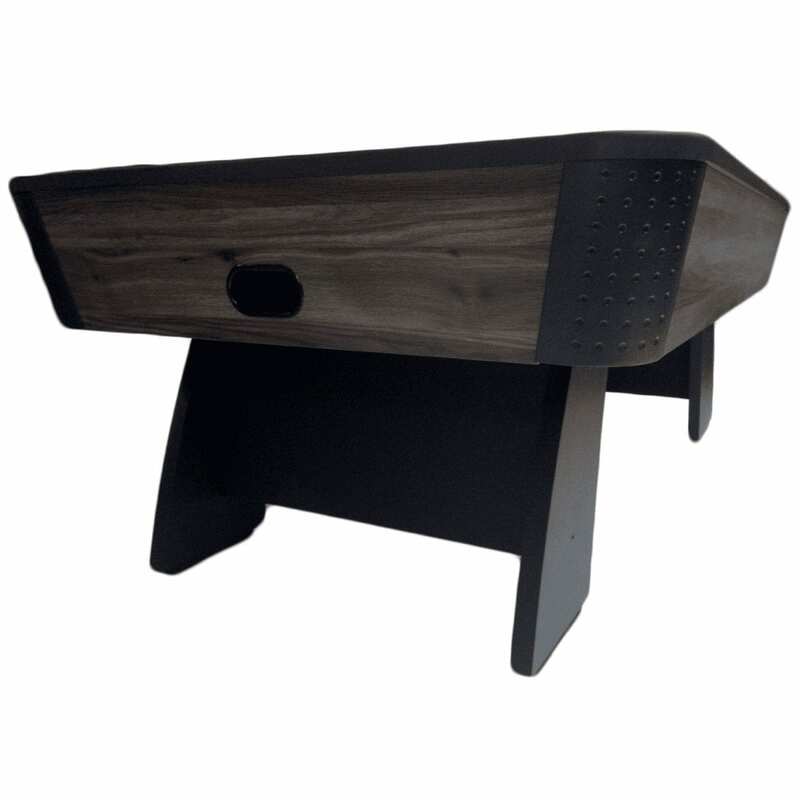 The legs are reinforced with large cross supports for stability and durability. 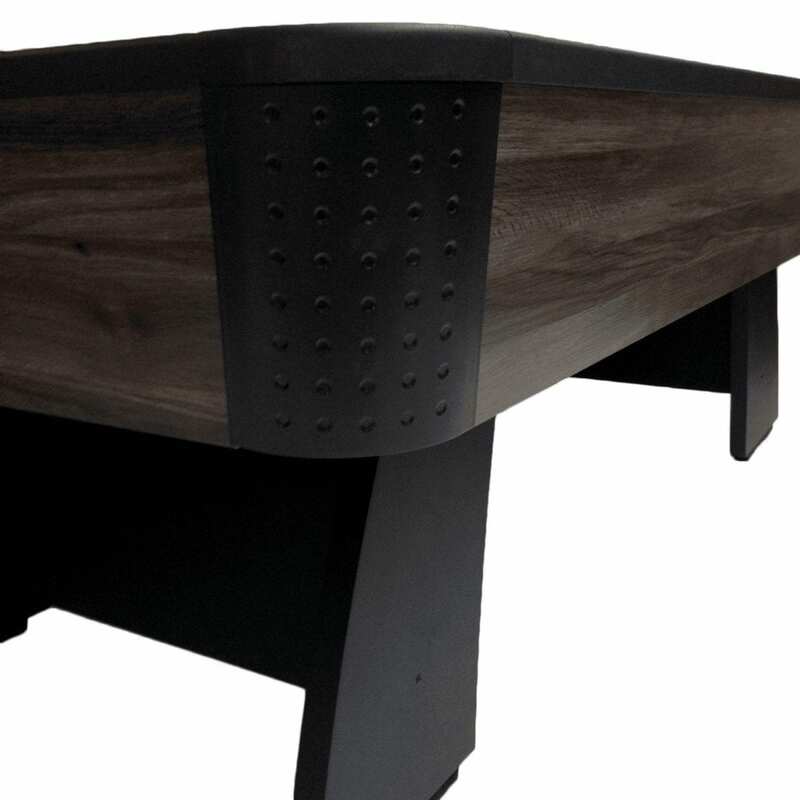 The 1-10 abacus scoring unit is set inside the side railing of the table, allowing a ping pong conversion top to be used on top of this table. 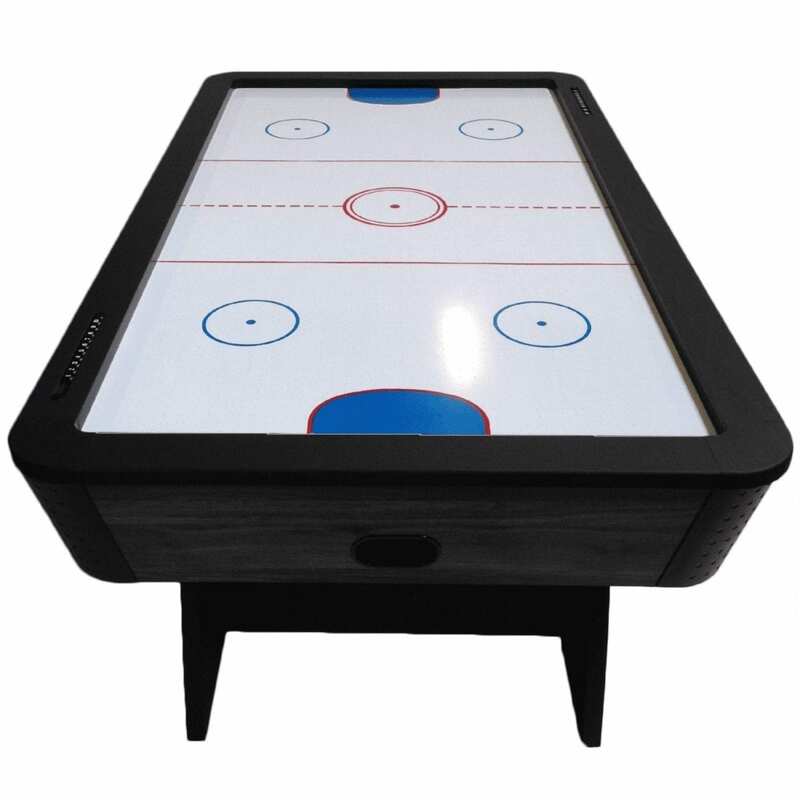 The inside play surface on this table measures 81″x41″. 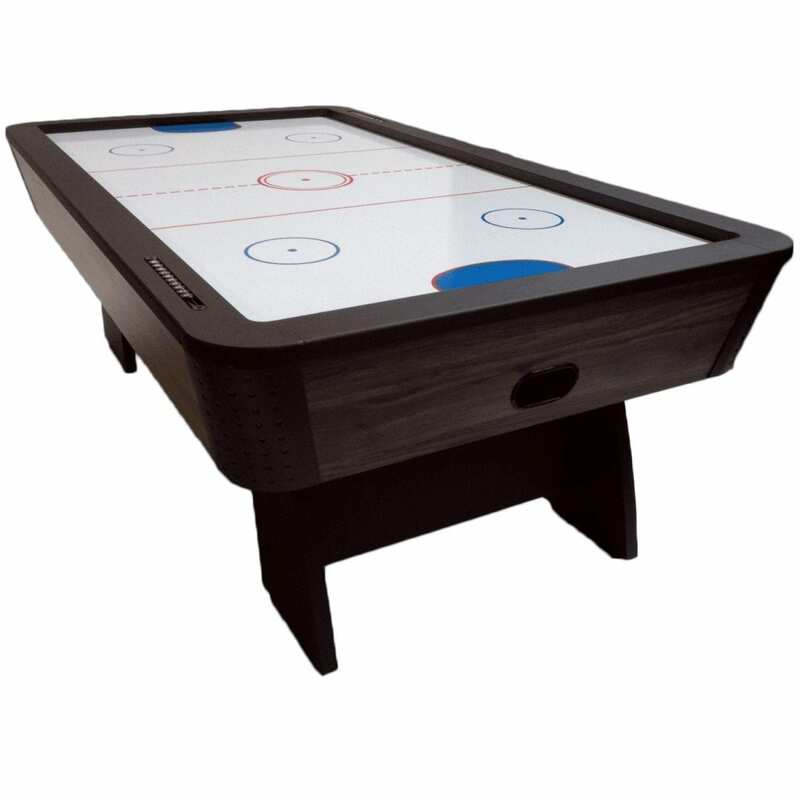 The outside dimensions are 89″x49″ and stands 32″ tall. 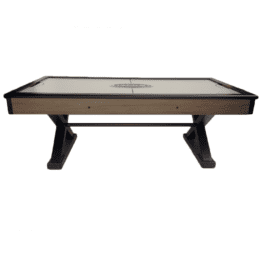 When assembled, the Marksman air hockey table weighs a whopping 230lbs! This table includes 2 pushers and 2 pucks so you can get playing right away! 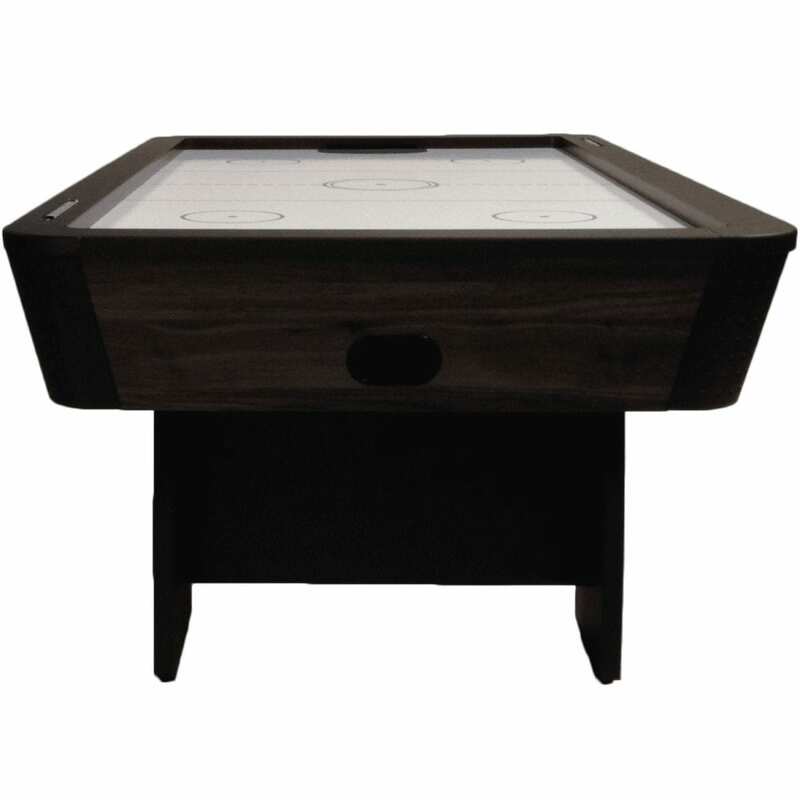 We do suggest keeping the table covered with one of our full length naugahyde covers for the ultimate protection.